Readers of “Tinker Tailor Soldier Spy” first encounter George Smiley, the puzzled problem-solver of the novel’s maze, as he hastens along a rainy London street. It is by no means his first appearance in the pages of le Carré. He was in “Call for the Dead,” and then in “A Murder of Quality” (1962), in which he is somehow transfigured into a detective, and asked by a friend to investigate a murder at a public school. (In English parlance, that means private. Le Carré based it on the school that he had attended and despised. I went there myself.) The following year, Smiley slipped into “The Spy Who Came In from the Cold,” which remains le Carré’s most celebrated work, partly because it scraped every lingering speck of James Bond from our understanding of what spying might entail. Smiley is compared to a “surgeon who has grown tired of blood,” thus yielding the odd, Prufrockian sense of a man whose great days, as a hopeful human, are already behind him, even though his finest hour, as a spy, may be yet to come. He is said to be “a kindly, worried little man,” and the diminutive marks him as a bit player: an impression confirmed by “The Looking-Glass War” (1965), where he is granted a wretched and thankless minor part, pulling agents out of a job near the East German border, and leaving another man at the mercy of the foe. 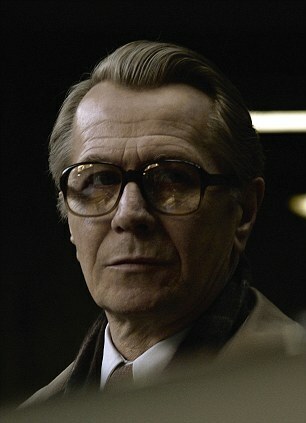 All of which is grist for the mill of contrition and regret that grinds within Smiley’s conscience, and which accounts for the weary but determined air with which he shuffles, “with a lumpy skip,” onto center stage, in “Tinker Tailor Soldier Spy,” and finally assumes his rightful role.